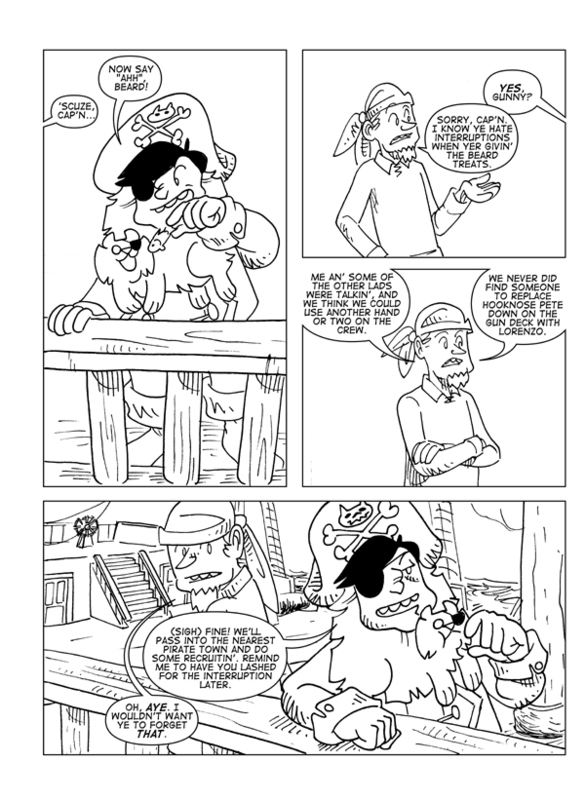 Earnin’ Yer Sea Legs, Page 1 – Catbeard the Pirate! So if you are a fan of the Facebook page, you’ll have already seen the new addition to the crew. If not, why not follow us? This won’t be a really long storyline, but it’ll catapult us right into the next bigger bit.